Efficient spur gear box(ex. 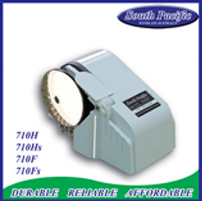 710) provide high output torque with low current draw, can reduce up to 40% of power consumption. Compact one-piece unit with no parts under deck for simple installation and fit any thickness of deck. A torque limiter built-in can absorb sudden impact to deliver smoother operation and greater reliability. 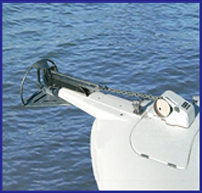 Switch control free fall function for quick releasing the anchor on free fall models. 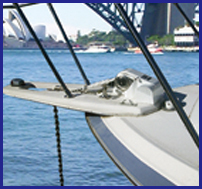 The 710 series are specially designed for smaller size boats, with a compact, easy operating and easy to install by yourself. The durable nylon or stainless steel gypsy runs both rope and chain smoothly. 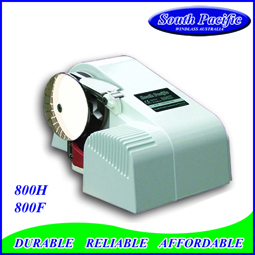 The 800 series have been developed with up-to-date technology and ideals, with efficient spur gears instead of traditional worm gears which can reduce of up to 30% ~ 50% motor power consumption. The Stainless Steel Gypsy(standard package) takes both rope and chain and a heat radiating system allow it to prevent motor overheating. 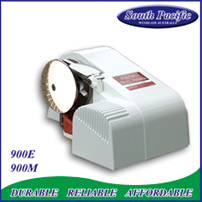 The 900 series have been developed using up-to-date technology and ideals, with efficient spur gears instead of traditional worm gears which can reduce of 30%~50% of motor power consumption. The stainless steel Gypsy takes both rope and chain. The tremendous lifting capacity and fast retrival speed are provided by a heavy duty DC motor and a heat radidting system allow it to prevent motoe overheating.